Which Albuquerque Museums Have Free Admission? There are several museums around Albuquerque that are free. Some have no admission charge, some are free on certain days, and some offer free admission to active military with ID. When is it free? Every Sunday from 9 a.m. to 1 p.m. and from 9 a.m. to 5 p.m. on the first Wednesday of the month. Also, for 2013, the first weekend of the month, Bank of America or Merrill Lynch cardholders get free admission. Art and history have a home here, with particular emphasis on the cultural southwest. Find a sculpture garden, walking tours of Old Town, art exhibits, children's art workshops and plenty of Albuquerque history. When is it free? The Anderson-Abruzzo International Balloon Museum offers free admission the first Friday of every month. Sundays between 9 a.m. and 1 p.m. are also free admission days, except for Sundays during the Balloon Fiesta. Learn about the history of ballooning, how balloons fly and steer, and have kids take a trip in a virtual balloon. When is it free? Admission is always free. The museum is housed in the old railroad station which was used during the railroad boom years, when the Harvey Girls worked at stops along the train trail. It is home to the Valencia County Historical Society and the Belen Model Railroad Club. The central gallery was originally the Harvey House lunchroom and has rotating exhibits. Learn about the history of the railroads, and the famous Harvey girls. The BioPark offers half-price weekends several times throughout the year. Half-price weekends occur every three months, in January, April, July and October. The Albuquerque BioPark began offering service members with military ID a discount in 2012. The discount is good for all active and non-active military personnel with an ID. The discount applies to general admission at the Zoo, Botanic Garden, and Aquarium. The admission discount does not apply to special events. Discount of $2 off adult admission and $1 off children's admission. The Albuquerque Aquarium takes a look at the waters of the Rio Grande. The aquarium is located by the Botanic Gardens, which has numerous gardens and a Mediterranean conservatory, as well as a working farm. The Rio Grande Zoo has many animals as well as a train ride which connects to the aquarium and gardens. When is it free? Sunday admission for New Mexico residents is free. Wednesday admission is free to New Mexico seniors with ID. Children 16 and under are always admitted free of charge. The monument has an interpretive center that looks at the history of the site. A pueblo ruins and underground kiva that can be visited provide a glimpse of the Kuaua, who settled there around 1300. The site has picnic tables and a wonderful view of the Rio Grande and the Sandias. When is it free? General admission is $3 and $2 for seniors 65+ and children under 8. However, no one is turned away for lack of funds. This historic working farm in the Pajarito area of Albuquerque's south valley contains a 150 year old adobe hacienda on 10 acres of cultivated farmland. The house sits on the Camino Real, the oldest continuously used European road in North America. Free tours are provided three days a week. The museum is a work in progress, but ongoing backyard farming demonstrations and a junior ranger program are already underway. Permanent exhibits are on people of the southwest and our ancestors. There are changing exhibits in two galleries, as well as a gift shop. The Maxwell Museum in on the UNM campus. When is it free? Sundays admission to the art museum is free. On Saturdays and Sundays, the Torreon is open and free of charge. The National Hispanic Cultural Center offers an art museum, public programs, performances, tours and a library. Take a deep drink of Hispanic arts and culture. 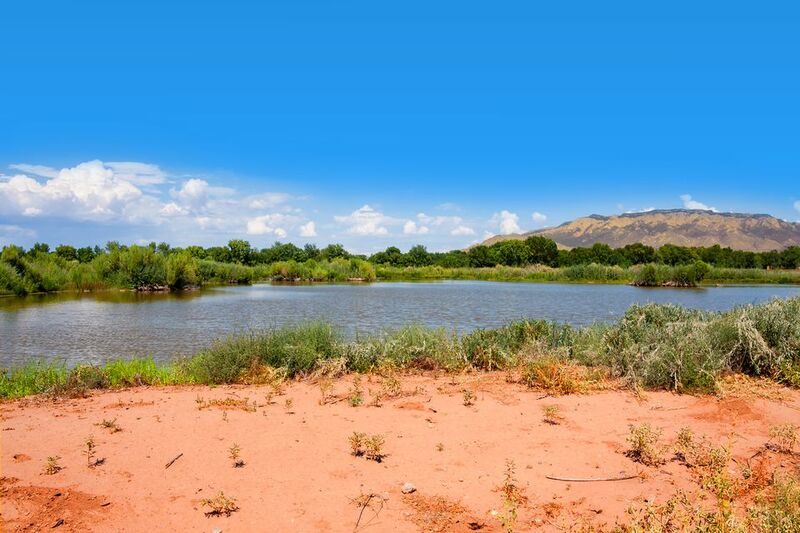 Albuquerque's Open Space division has lands throughout the city which are saved as natural recreational spaces. The visitor center features an art gallery, wildlife viewing, interpretive displays and access to walking bosque trails. It is on a working farm and the agricultural fields draw large numbers of animals. Each fall, there is a sandhill crane festival where visitors can see sandhill cranes and other seasonal migratory birds. The center also has a fantastic view of the Sandia mountains. The Holocaust Museum has exhibits on Nazi Germany as well as from other genocides and the Bataan Death March. When is it free? The Natural History Museum is free to New Mexico residents on the first Sunday of every month. An ID is required. It is also free to all veterans with ID on Veteran's Day, November 11. New Mexico seniors age 60 and older are admitted free every Wednesday. The museum-run Sandia Mountain Natural History Center is also free to New Mexico residents with ID on the first Sunday of every month. Find a wealth of information on the natural history of New Mexico, and science that includes the Mars rover, a planetarium, and a look at the history of the computer. Enjoy lots of dinosaurs and a hands-on, interactive learning center. When is it free? Admission is always free, though the city of Albuquerque does charge a nominal parking fee at Boca Negra Canyon. Take a hike along the trail and see the ancient petroglyph images on nearby stones. The Las Imagenes Visitor Center should be the first stop to learn about the park and pick up a brochure. When is it free? Both museums offer admission at no charge. The Geology and Meteorite Museums are side by side in UNM's Northrup Hall. The geology museum contains rocks and fossils as well as a special room for viewing fluorescent minerals. The meteorite museum contains information on meteorites as well as specimens of many sizes. When is it free? Admission to the park and visitor center is always free, but there is a fee for parking. The nature center has a visitor center with an interactive learning center, a quiet observation room for pond and animal viewing, and gardens. The trails go to the Rio Grande and hikes can be as long or short as you like. Seasonal festivals include the Winter Bird and Bat Festival and the Summer Wings Festival. Located in Barelas, one of Albuquerque's oldest neighborhoods, the South Broadway Cultural Center features a theater, multi-purpose room, art gallery and library. The art gallery showcases local and regional arts. The Friends of the Tijeras Pueblo work in partnership with the Sandia Ranger Station (Forest Service) to bring special events as well as the interpretive center to the public. Learn about the history of the pueblo and view an archeological site deep in history. Site is temporarily closed because of the Dog Head Fire.